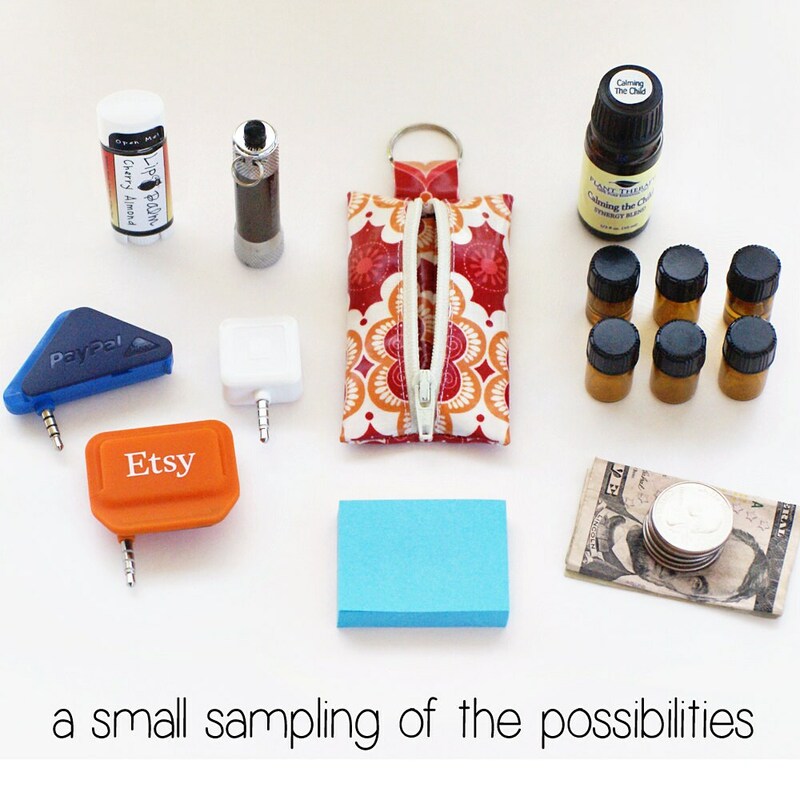 Keychain pouch for lip balm, essential oils, change, earbuds, and more! 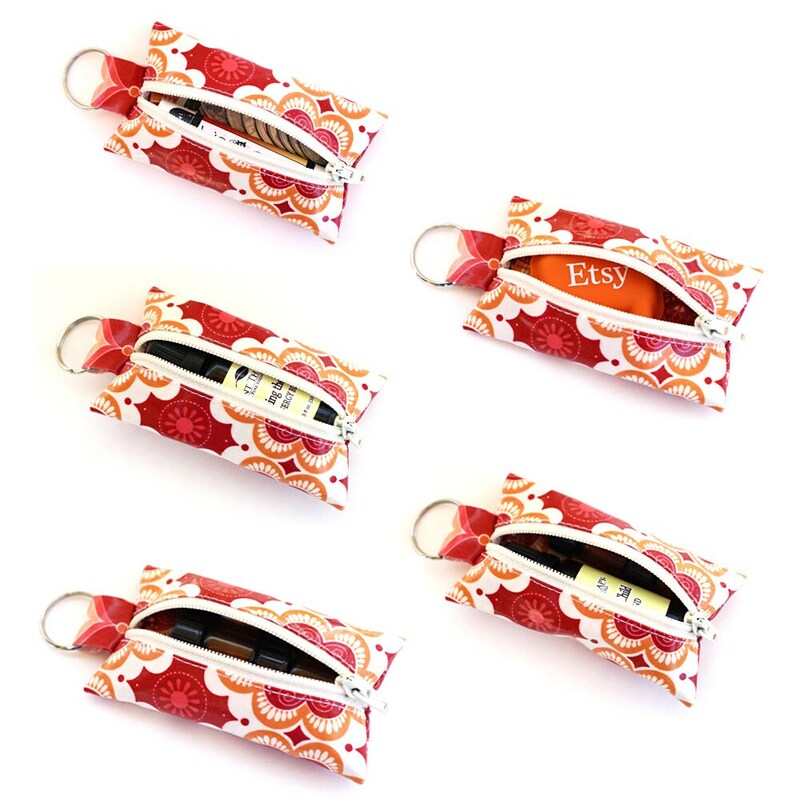 This zippered keychain pouch functions as an essential oil holder, lip balm holder, change purse, earbud case, or general keeper of all things small. It's made of water resistant laminated cotton and is the perfect size for keeping those little items at hand so that you don't have to dig in your bag. The inside is laminated and wipeable as well, of course... because that's where any leaks would happen! Are you a garage sale nut? 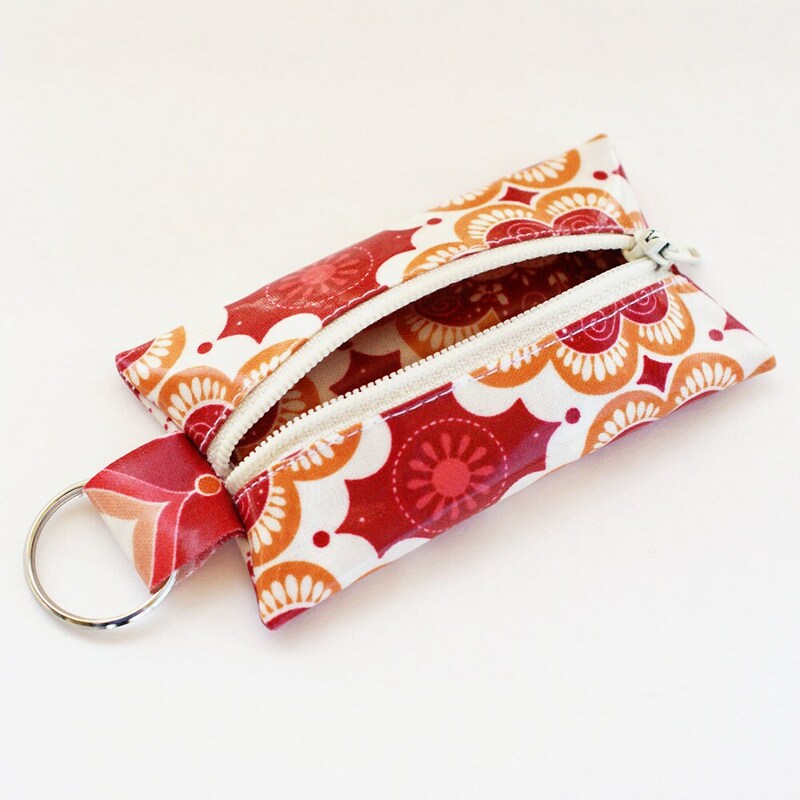 Just tuck a few bills and some change into the pouch, hook it to your zipper or a belt loop, put your phone in your pocket, and devote both hands to rummaging! It's also ideal for kids. 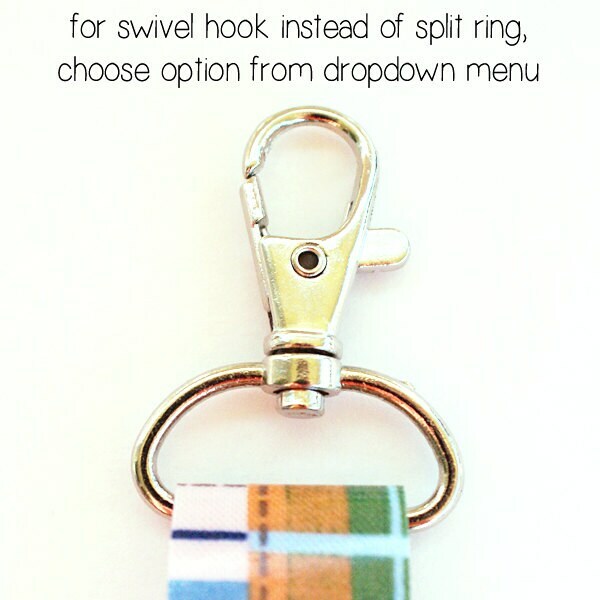 Attach one to a zipper pull to keep lip balm handy or to the inside of a backpack to hold lunch money or little treasures. 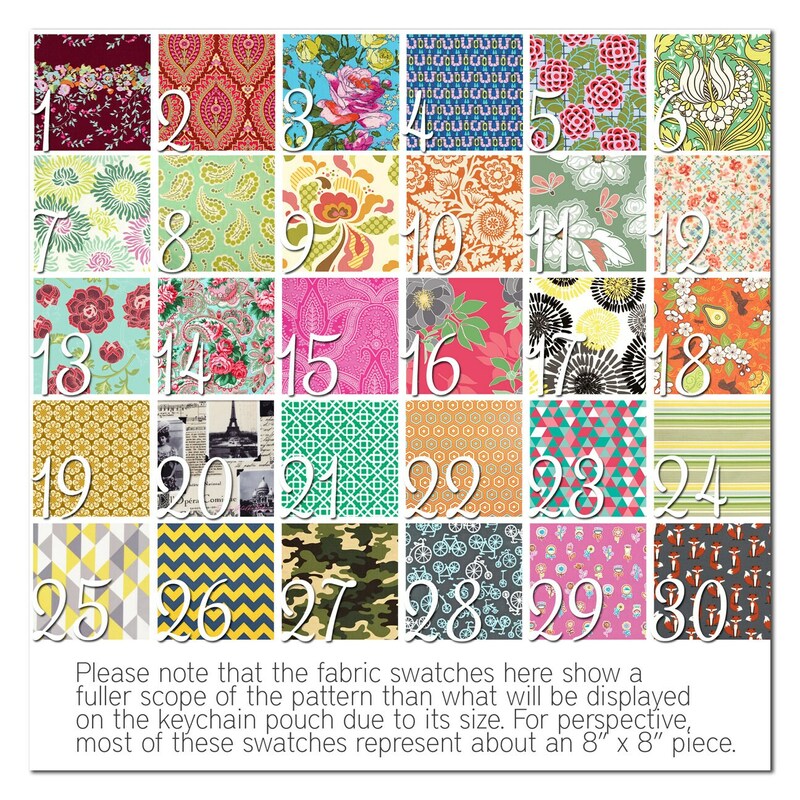 Please select both fabric choice (last photo) and hardware choice from the dropdown menus before adding to cart. This is a custom order and will be added to my processing queue and ready to mail within 1 week. Just what I needed! I have a key set that includes a broken key fob thingie... so now they can be all together! Perfect! Quality all the way! Really cute, well-made and the pouch is perfect for yard sale-ing when I only need my keys and a place to stash a little cash.